Are you interested in opening your own childcare centre? It’s definitely a booming industry that doesn’t show any signs of slowing down. 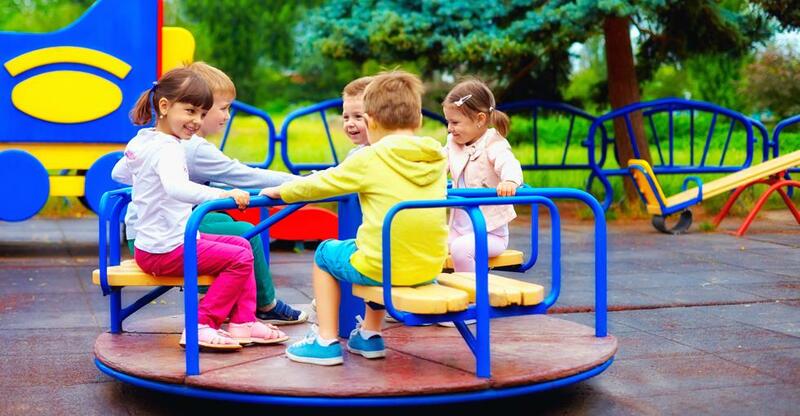 Here’s what you need to know before joining in with the other kids on the playground. Over the past decade, the demand for childcare centres has been on a steady rise that’s projected to continue. This growth has been fueled by increased government assistance with approximately 1.3 million children expected to attend some form of government approved or funded childcare in 2019. In addition, the rise in the number of working mums, along with the introduction of flexible working practices, has increased the need for more childcare. Finally, the industry is projected to reach a revenue of $16.4 billion by 2022, a 32.4% increase on the 2017 revenue of $12.4 billion. As the number of parents working outside of the home continues to rise, so does the need for quality childcare. However, in order to succeed in this industry, you’ll need to prove that your centre is dedicated to the intellectual, physical, and emotional well being of the children entrusted to your care. Working with staff to manage day-to-day operations. Maintaining a healthy environment by allocating cleaning duties or hiring a professional cleaner. Performing administrative duties like bookkeeping, ordering supplies, and arranging equipment repairs. In stark contrast to most industries, you will be accepting legal responsibility for the children in your centre. To ensure that you and your staff are equipped to handle these requirements, be sure to study the Early Childhood Australia’s Code of Ethics. Provide additional services. Offer optional fee-based classes like ballet, karate, soccer, and gymnastics to give busy parents easy access to extracurricular activities for their children. Offer healthier meals. Promote and provide healthy meals to meet the growing demand for better nutrition. Embrace technology. Consider using childcare software like HiMama to inform tech-savvy parents about their children’s daily activities and behavior. Keep in mind, however, that the most vital service to offer is a safe, loving environment where children can grow and thrive. Hands down, this is the most significant attribute parents will look for in a childcare centre. Any additional perks are just icing on the cake. Budget: Initial and ongoing costs, including maintenance, staff salaries, and marketing, can be high, so operate your centre as close to full capacity as possible in order to guarantee a sustainable profit. Location: Be strategic and choose a prime location surrounded by multiple schools, workplaces, or family-friendly suburbs. Competition: Stay ahead of your competition and implement a unique idea to increase enrollment. For example, consider being an organic centre, targeting a specific age group, or providing bonus services. Long Hours: Many working parents need childcare from the time they leave for their morning commute until they return at night, so be prepared to work long hours. Demand for Higher Salaries: Clients have high expectations for the quality of care for their children. To attract impressive employees, you’ll need to pay your staff well. Legislation: It can be challenging for owners to enter the childcare industry because of extensive regulations. Visit here to stay up-to-date with all current requirements mandated by the National Quality Framework. Certification: Be sure to comply with your state or territory’s requirements for owning and operating a childcare centre, including mandated staff certificates, diplomas, and “Working with Children Checks,” as well as food handling standards and first aid training. Patience: Caring for children will require patience and energy to deal with the long hours and the potential frustration of working with tired, cranky children. Organisation: Strong organisational skills will help you stay on top of maintaining licencing requirements, ordering daily supplies, and establishing a consistent daily routine. Communication: Good communication skills will be highly valuable in order to positively interact with parents, staff, and children. Caring for children requires a specific skill set and personality. If you’re ready to buy a childcare centre that will give parents peace of mind and young children a place to thrive, visit here to get started! Selling your childcare business can be easy as pie! Just read this. From story time to nap time- find out how to run a childcare centre! Ready to Embrace Your Inner Child? Read this to find out how to buy a childcare centre!